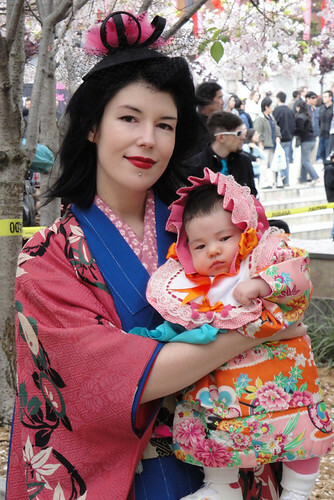 Lily made her first public kimono debut! Lily’s kimono is from Ichiroya. 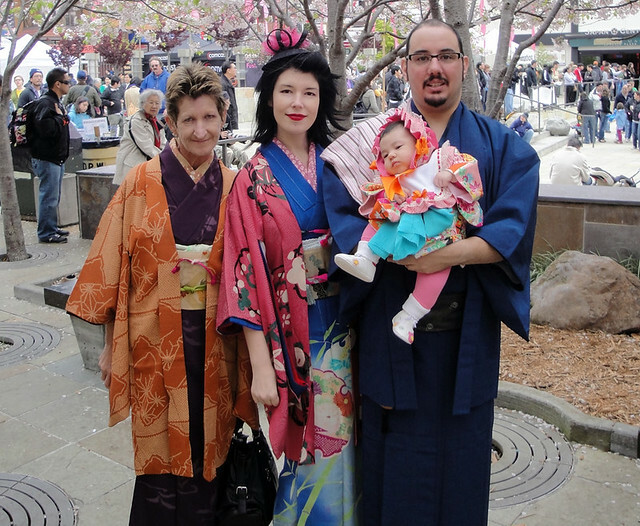 It was a kimono for a 3 year old and in order to make it fit Miss Lily, who is only just over 2 months old, I had to sew up the excess length, put in shoulder tucks and also reduce the width of the sleeves to make the wingspan fit her. I then made a matching bonnet and bib to finish off the outfit. My mother was over from Australia visiting for two weeks. 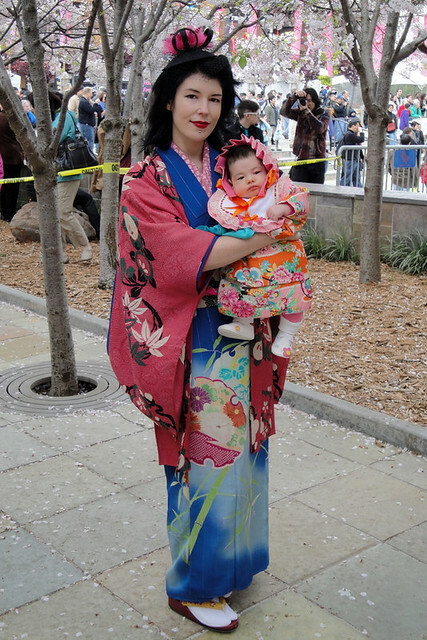 She flew back last night – but I managed to dress her in kimono for the morning. I think I succeeded in creating an age appropriate, yet vintage chic ensemble. 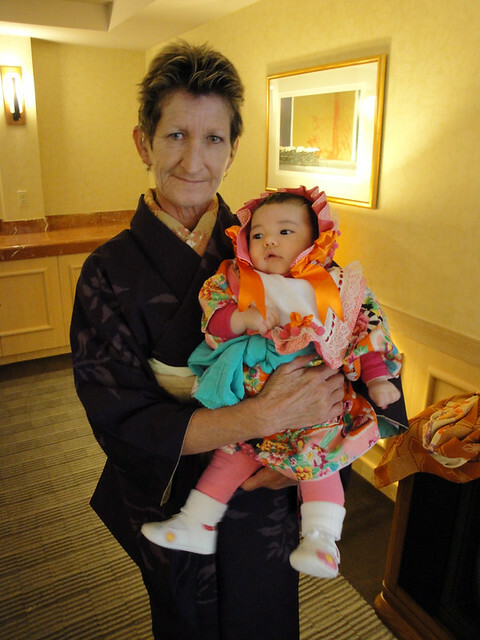 My mother really enjoyed wearing kimono and received many compliments! Arian looked dashing in his indigo ensemble, as always, and as for myself? I unfortunately didn’t have the time to concentrate on an ensemble – so I threw this together literally five minutes before we left the house to go to the hotel we were staying at in San Francisco. It’s not my best ensemble…but it came out passable. Pregnant Kitsuke - 30 Weeks Pregnant!